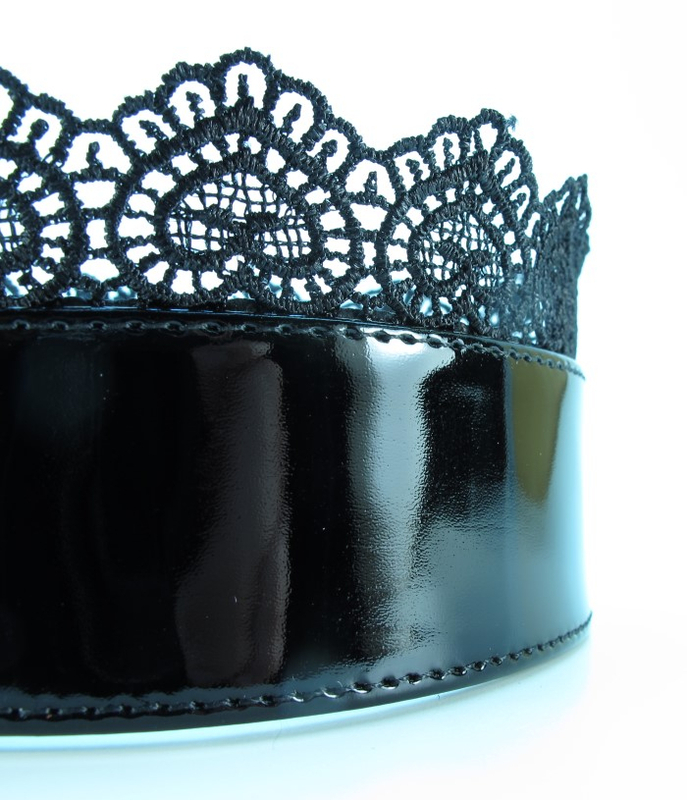 This especially feminine black set consists of a lace collar and lace handcuffs. Both are made from natural soft patent leather. The handcuffs do not overpress and do not disturb the blood flow. They are connected by a short bridge. The collar is adjustable.